Adopting technology can help SMBs weather the "perfect storm" of Brexit, GDPR and more, Xero says. Britain’s accountancy firms have been urged to embrace new technology to bring their profession out of the dark ages and into the modern world. That’s the message from accountancy software Xero, which has kicked off its Xerocon 2017 event in London today with the unveiling of a new report which shows that some parts of the industry still have a lot of modernising to do. The company’s ‘Digital or Die’ report, released today, showed that a significant portion of accountancy firms are still utilising paper ledgers to do their work - a technique that was initially invented in the 13th Century - despite the raft of tech-friendly solutions around today. Overall, nearly two thirds (61 per cent) of accountants surveyed said that their profession was reaching a “technological tipping point”, where new services and tools are poised to have a significant effect upon their daily lives. ”Whilst this (digital) change is happening, a lot of accountancy firms are still behind," Gary Turner, Xero’s UK MD and co-founder, told a preview event attended by TechRadar Pro, “they need to go digital to survive." Xero's report was accompanied by an updated version of the Portrait of Luca Pacioli; the 15th century figure known as the 'Father of Accounting and Bookkeeping'. 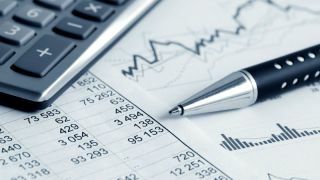 Xero’s report, which surveyed over a thousand SMB owners and 673 accountants, found that 78 per cent of accountants working in accounting and bookkeeping firms use spreadsheets to manage their accounts, with close to a fifth (18 per cent) still clinging on to paper ledgers, which Turner labelled “dark age technology”. The fact that so many of the UK’s estimated 22,000 accountancy firms persist in using outdated technology may be bad news for the thousands of SMBs across the UK that depend on their accountants to stay afloat. Turner noted that the next few months and years are forming something of a “perfect storm” for UK small businesses, as the looming GDPR deadline next month comes before the Brexit deadline in early 2019, which is when government plans to make tax digital (MTD) are also set to come into force. This rate of change is having an impact across the industry, however, with the report also finding that nearly half (48 per cent) of accountants were worried about being left behind – a major rise from just 22 per cent last year. The fear appears to be amplified by the fact that more than a third (35 per cent) said there was not enough education or training available to ensure that UK accountants will be able to keep up with the pace of digital change and upcoming legislation. Lastly, new technology could also help to save accountants mountains of time that they could be spending on other tasks. Utilising solutions such as cloud-based accounting software could save many accountants an average of 117.5 hours per year - equivalent to 15 days - with a quarter of firms saying that such a move could even save them as much as half a day per week. So the accountancy firm of the future may be incredibly different from the dusty and stuffy office that many of us would stereotype it as currently. Xero is urging firms across the UK to embrace the technological change needed to bring accountancy into the 21st century, and enable the country’s myriad of small businesses to stay afloat. "The plumbing is now there,” Turner concluded, “the banking infrastructure has caught up (and) we're at the point where our ambitions can be realised...the drive we've seen from accountancy practices encourages that. Interested in the latest accounting software? These are our top picks for the best accounting software of 2018.